Airbnb is a fascinating company. It is valued at $31b as of mid-2017 (pre-IPO). It has managed to exceed the market capitalisation of Hilton and Hyatt combined in less than 10 years since its start-up. They are serving over 3 million listings in more than 65,000 cities in over 190 countries and 200,000,000 guests to date. Today, we are going to have an in-depth look at Airbnb’s business model. 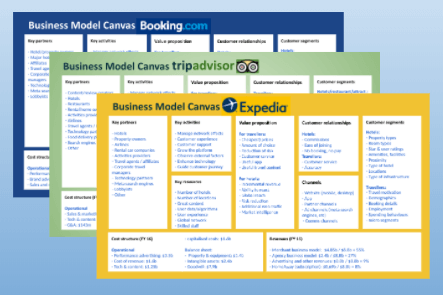 A great tool to have a holistic view of their business model is the Business Model Canvas, a very popular tool invented by Alexander Osterwalder. It can help you scetch-up, discuss and develop your innovation ideas in teams and by yourself. The Business Model Canvas consists of the 9 categories you see below to describe a company. Broadly speaking the left-hand side is the supply side from the business’ perspective and the right-hand side is the customer side. 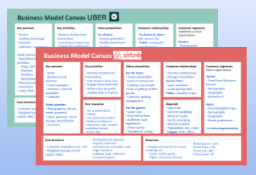 This is the Business Model Canvas as devised by Alex Osterwalder. Let’s go through the canvas from left to right. Key partners are not easily replaceable. They contribute significantly to the success of the company and influence its future trajectory. Rental hosts offer houses, units/condos, rooms, and more exotic stays, such as castles, igloos and more. Event hosts offer to guide through local experiences, food, art, fashion, nightlife, etc. 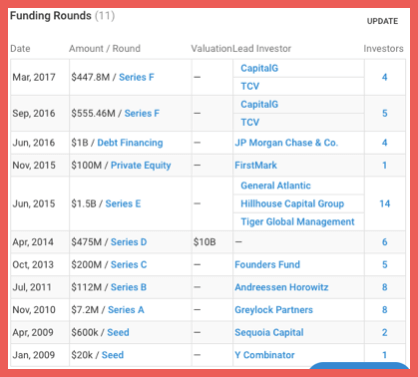 Investors/venture capitalists bring the initial rounds of funding to the table. The funding helps with developing the functionality, apps, algorithms, but also for acquiring customers. Investors bring down the (weighted) cost of capital (WACC). Lobbyists are crucial for Airbnb at all levels of government. New York City has made it illegal to advertise homes for stays of less than 30 days. The exception is to share rooms where the landlord stays in the same apartment. Legal analysts point out that this is building on regulations that were in existence since the early 2000s to clampdown on illegal hotels at the time. Airbnb called it lobby-supported “back-room dealing“. On the federal level, the well-known Senator Elizabeth Warren requested the Fair Trade Commission to investigate allegations against Airbnb (and peers). It turned out that both events were part of a secret plan of a hotel lobby group, As a consequence, Airbnb has ramped up their lobbying efforts further (on the federal level through Clinton-close Podesta lobbyists) and through a PAC on NY City level. The aggregate success (or failure) of their lobbyists can make a considerable difference to Airbnb’s trajectory. Fortunately, here in Australia, things are a bit more transparent. While it seems a bit over-governed to have 6 different state legislations for 25m people (or one legislation per 4m people), at least there is a transparent discussion here in Australia. 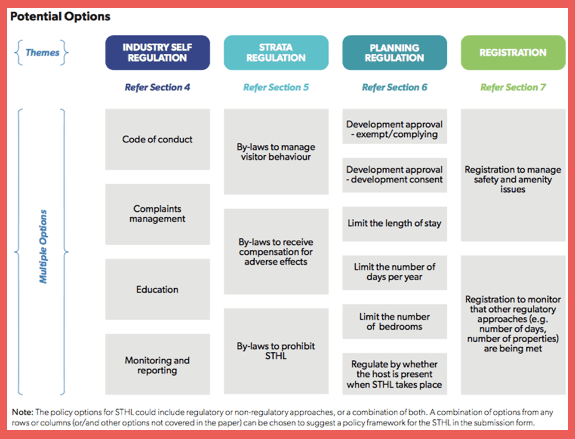 The state of New South Wales (where Sydney is located) has issued an options paper for short-term holiday letting [pdf] that shows the themes of regulatory interest. Corporate travel partners: Airbnb has opened a large source of new guests by expanding into the business travel world. Through their alliances with platforms like Concur and Flight Centre, Airbnb inventory becomes available to corporate travel managers. Corporate travel managers have some discretion as to which suppliers, including lodging providers, they enlist within their corporate travel policies. These corporate travel managers have the discretion to add thousands of potential guests. Early adopters are particularly valuable as they can set a precedence for peers to follow. Airbnb hires freelancing professional streets/events/property photographers in some cities. The photos are very important. But there is sufficient supply of photographers. Even if all current photographers decided to jump ship, it would not affect Airbnb’s revenues and within a few weeks, they would fill the ranks back up. Maps, payment platforms, cloud storage, identification platforms are important but they are not proprietary any longer. Insurance companies, while very important and initially challenging to make a deal with, by now are not a big challenge any longer. Cloud providers (and many other tech API providers) are not key partners if they provide easy-to-replace commodities (unlike a few years ago). Airbnb has acquired a number of small tech companies that may end up becoming key resources if they contribute significantly to Airbnb’s growth. We are not just glossing over. Learn from the most innovative companies, like Airbnb, in-depth. Receive articles like this one in future by opting-in at the end of this article. The network effects are the moat (i.e. competitive advantage) of platform businesses. The key activities should revolve around improving positive network effects and reducing negative ones. complementary offering that increases stickiness, such as events. 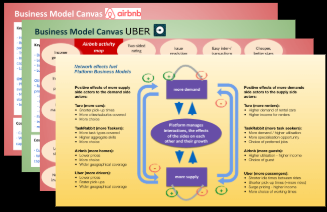 The key resources of a platform business are the network effects. In this case, those between hosts and guests. Airbnb is a great example for this. Airbnb hosts are providing places to stay, events, recommendations what to do at the locations. Not every host does all and that is not required. On aggregate, the hosts make their destinations (and thus travelling as such) more attractive by indirectly collaborating. This is a great example that the total is larger than the sum of the individual parts. The value propositions listed in the next section unfold their strength with the networks effects. Your platform needs to create value for the supply (=hosts) and demand (=guests) side of your platform. Individual connections: Airbnb helps to start the every guest-host connection on the right foot. In comparison, hotels try to provide the same looks&feel everywhere in the world. Individuality gets lost. The people providing the service have to be adjusted to the service delivery standards, etc. 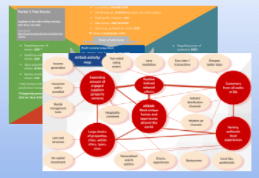 Community: connections between the users as a whole enabled by the vast amounts of user generated content on the destination locations as well as the respective home/unit/room. Localisation: by adding an increasing amount of information/recommendations on the location and adding events provided by event hosts. 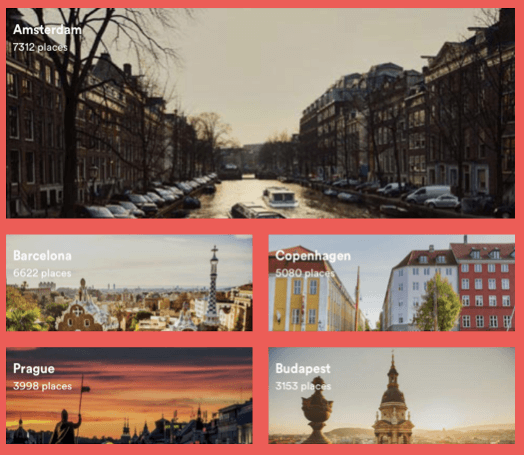 Airbnb has a growing list of guidebooks for the major destinations similar to traditionaal travel guides but with the content created by the local hosts. This can entice guests for one or the other destination. A typical case of positive cross-side network effects. 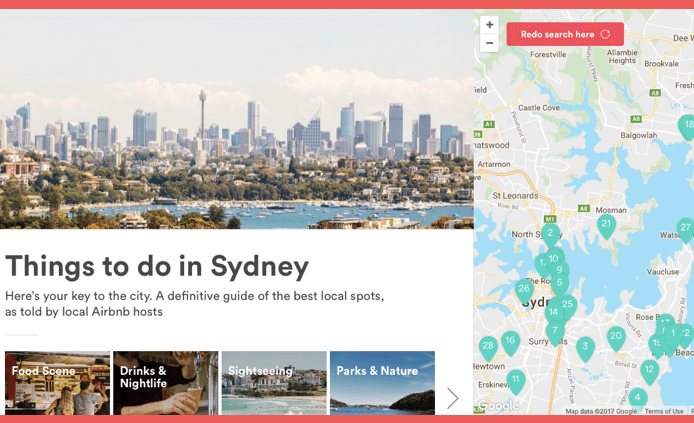 Things to do in Syndey is a long list of recommendations created by hosts in that city, categorised and with professional photos (taken by Airbnb-contracted photographers). The description is host-generated, thus authentic and low in creation costs. Any local Airbnb host can write their recommendation to any of the places creating great value for guests and others can like it. Further to this, Airbnb features some cities and their neighbourhoods with lots of authentic street photos. Airbnb is adding value propositions to both sides that hotels will struggle to compete with. 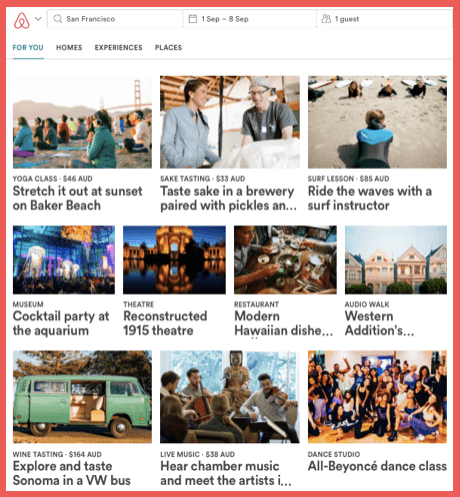 Compare Airbnb events to the old-fashioned flyers you find in some corner in hotel foyer. Events hosting and experiences in the destination are great complementary value propositions for hosts and guests. One that hotels barely compete with as they only offer on-resort or pre-selected offerings. This is another great source of nurturing innovation. I recommend you see both the supply as well as the demand side as a customer even though on some platforms only one side pays. On Airbnb this is clearer as both sides pay (see below in “Revenues” section). You can segment customers always in different ways depending on the question you are trying to answer. Let’s look at some ways of segmenting Airbnb’s customers. * Airbnb and anyone else will be able to target you very well if you log in there with your Facebook account. These are still very macro segments. 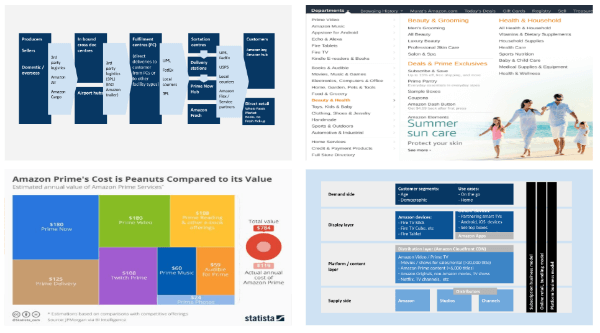 All data-driven companies, like Airbnb, create much more micro-segmentation that should be much more valuable than the above traditional segments. These macro segments can be targetted in various ways: here’s an article targeting families with kids and one targeting the post-retirement extensive traveller segment. The articles directly target the respective segments and have links embedded to destination guidebooks and even to listings. The most important consideration on this dimension is to firmly own the customer relationship and to keep it within your platform. Airbnb has poached many customers from Craigslist in their early days. The business travel platforms (Concur, Flight Center, see above) and Airbnb will have careful provisions in their contracts and the customer data that they share to avoid “leakages”. 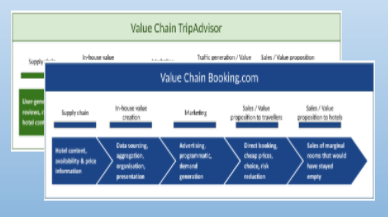 You might say they are very different platforms but what about losing customers to hotels via the travel platforms or to other short-term rental platforms that may collaborate the travel platform in future? Customer relationships to the supply side (the hosts) will be mainly defined by what the platform does for them in terms of income while protecting their property from bad guests. 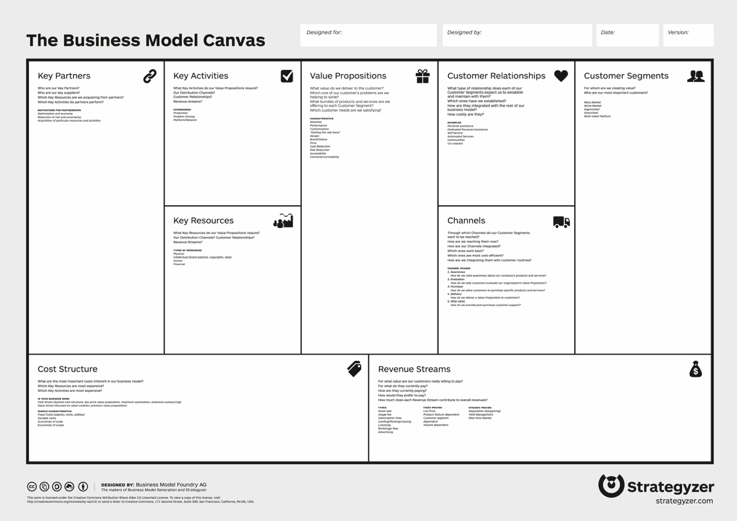 There is no field for key stakeholders in the business model canvas. This category is very important for platforms. They are an emerging phenomenon. As such, the public opinion has not yet fully formed and it will significantly influence your customer’s view of your platform. I have already covered lobbyists and influencers as key partners. But here we need to talk about the public as such. Airbnb manages a number of channels through which they publish public opinion influencing articles. They have the Airbnb newsroom, Airbnb Citizen and their Facebook pages. E.g. in August 2017 there are articles on topics as sustainable travel, refugee/evacuee support, social impact, disaster response support, and local updates. Keeping users engaged and drawing in new users is essential for all platforms. Airbnb’s Facebook pages are a great example for this. I have not distinguished between capex and opex but you can see there are a lot of growth-related costs. The capex components will taper down as the company matures barring, of course, new growth endeavours. Airbnb passes some of their costs on to guests/hosts. More on that in a second when we talk about their revenues. Other short-term rental platforms (e.g. VRBO, HomeAway) charge a listing fee rather than per transaction fee. This is a different pricing model. Guests pay a 2-3 times higher fee per transaction than hosts. This has to do with supply and demand of hosts and guests and with incentives. Hosts are harder to get as there are fewer people who have a spare room/unit/house and are willing to rent it out (repetitively) to (potentially untrustworthy) strangers. Guests, by comparison, save money (=incentive) compared to hotels. Hosts pay 3% transaction fees if they select a flexible cancellation policy, 4% for a moderate and 5% for a strict cancellation policy. Basically, they pay more for certainty (though they may miss out on bookings from people who prefer flexibility). If you are offering a home that is vastly popular, you can more likely afford a strict policy and even pass the additional costs onto the guests by charging a higher price. 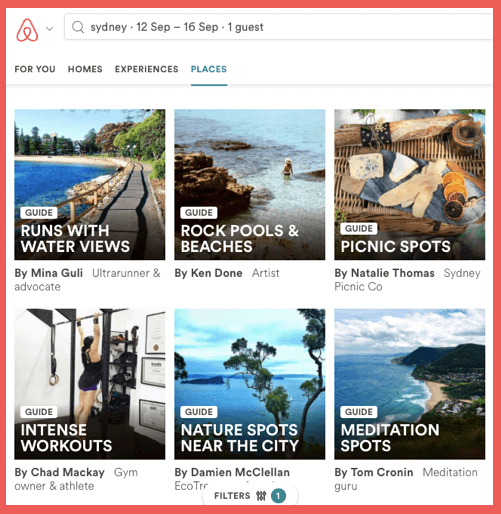 Airbnb incentivises hosts to opt for a more flexible policy as this is the most desirable option from a guest perspective and should lead to more aggregate bookings. Guest service fees are at the lower end of the 5%-15% range, the higher the overall transaction value. The transaction value is obviously a function of the per night price of the accommodations the duration of the stay. Given guests are already incentivised by low costs, Airbnb figures they can charge more on the service fee. Another reason, of course, is that fixed costs are roughly the same independent of the accommodation per night price. Event fees are very different. There is no service fee for the guest and a 20% service fee for event hosts. Event hosts are easy to get. Many of them have a small local business or a hobby they are good at and use Airbnb as an additional advertising platform for their offering. No doubt, these people will be quite willing to pay 20% as any booking from Airbnb is an incremental booking to their other sales channels. Airbnb passes some of their costs directly onto their customers (beyond operational costs plus margin). Airbnb passes Google paid search costs onto the hosts whose space is being booked through ads. Host are opted in by default but can opt out but wont be listed when the potential guests gets onto the Airbnb pages through a paid ad. Airbnb offers professional photography of rental homes in selected cities for a fee. There are cleaning (and hosting) service providers for Airbnb listed properties. These are not affiliated with Airbnb but promise to comply with the Airbnb service standards. We found a lot of interesting financial observations below the surface when we looked at Uber, Airbnb is more complex. Uber’s value proposition is very similar to that of their main competitors, traditional taxis. Airbnb’s value proposition is more differentiated to traditional hotels. Also, the cost elements and incentives for the participants are different. 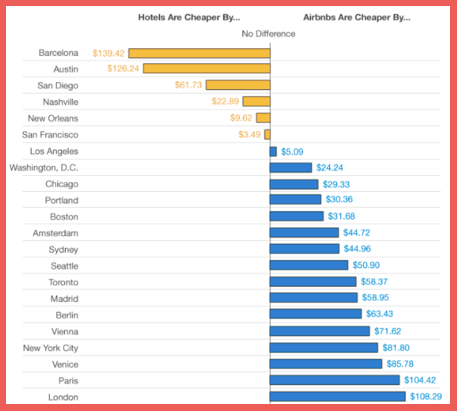 One often cited comparison by Busbud.com concludes that price differences vary a lot by city but that Airbnb is cheaper in a majority of cities. The study is based on 220,000 Airbnb listing. But they don’t shed any further light on their methodology. E.g., have they compared for comparable accommodations or have they just compared the entire inventory across all classes for a given date range? With this caveat, here is the comparison which I decided to take at face value (run a few – very inspiring – searches yourself as I have). Any revenue consideration needs to take into account that the offered accommodation on Airbnb plus all Airbnb fees needs to be lower (or at least comparable) to a similar hotel offering. When we compare Uber to taxis, we have seen a number cost advantages of Uber drivers to taxis (and the “saving” on the cost of capital was only one). A similar comparison for Airbnb is much more difficult. Let’s still have a brief look. The host never had the intention to rent this room out in the classical rental model. In this case, any net income (minus tax) is additional income. And the host does not even need to worry how often the room is occupied and can take it how they feel. This is a common case. If the host has rented the room out on a permanent basis before and is keen to obtain a higher income through the Airbnb model, then the utilisation and transaction cost differences play a role. The host will surely be able to get a higher per night rate through Airbnb. But they will need to do at least a minimum level of servicing of the room themselves after each guest. And they will also have more gaps say over a monthly basis. However, on an annual average basis, things may be different assuming that getting a long-term rental may cause larger gaps in-between tenants. Cost of capital (i.e. pro-rated mortgage interest) needs to be factored in. Apartment, house: Using the above-mentioned lines of thinking, compare for yourself the case of renting out an entire apartment or house via Airbnb to renting it out long-term in the classic rental model. There are many considerations and cases. E.g. some people rent out their home while they are on leave themselves (and Airbnb prompts those who book accommodation through them, to rent out their own space while they are away). Other home owners rent out individual rooms to different Airbnb hosts at the same time and so on. As you can see it is very complex. But Airbnb needs to understand the above and what motivates hosts to offer their spaces on Airbnb. It is not all pure financial considerations. And all that I have listed above plays a role in motivating hosts. The question will always be if a platform can create enough cumulative value for its participants so that it can extract sufficient value for itself. The cost base for the participants (hosts & guests) is at the heart of the revenue question for the platform. 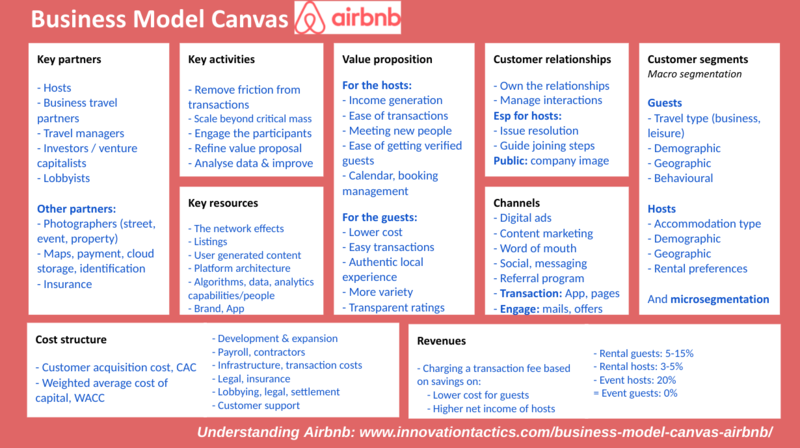 Download the Airbnb Business Model Canvas [pdf] and/or as Powerpoint file Airbnb Business Model Canvas [pptx].